No matter what country you live in, everyone should all be able to buy products for the same price. Unfortunately there are numerous digital borders which mean that shoppers are restricted not only by what services they can access, and what products they can buy, but also by the prices that they are charged. Due to the digital borders, online retailers can use geo-blocking to force shoppers to pay more. Geo-blocking is a technique that retailers use to stop shoppers from being able to buy products more cheaply from overseas. Internet providers enable online retailers to geo-block content through the use of ISP restrictions. It is a shoppers IP address and therefore their geographical location, that determines how much they have to pay for their online shopping. Many online retailers, including Amazon, Microsoft and Apple, use licensing and copyright restrictions to set different prices for their products and services on the basis of a shoppers location. As a result, frustratingly, geo-blocking leads to increased prices of up to 50% for certain shoppers. 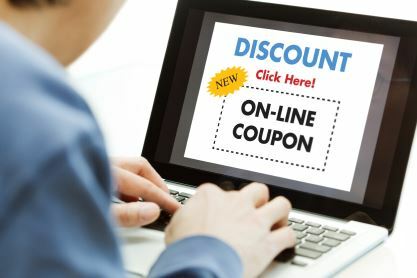 Of course there may well be justified reasons for online retailers not to sell to every country, such as increased shipping costs or unfavorable foreign consumer laws. However, often there are no real barriers to international sales, and no need to increase prices. In such cases the online retailer increases their prices in order to increase profits- not what geo-blocking was intended for, and as such completely unjustifiable. Thankfully, there are ways to bypass geo-blocked sites and thus get your online shopping for cheaper. By using a VPN to access shopping sites your IP address and location are hidden so that you can access more online content, and save yourself money when shopping. Using a VPN is completely legal, however, the legality of using a VPN to access restricted content can be a little hazy. Why? Because the use of a VPN for accessing content could be considered a breach of copyright law. As a result it is important that you check the online retailers policies and legal statements if you are considering bypassing geo-blocked content.